When is Spring going to finally start? What information are drones really tracking and could they deliver packages in the future? 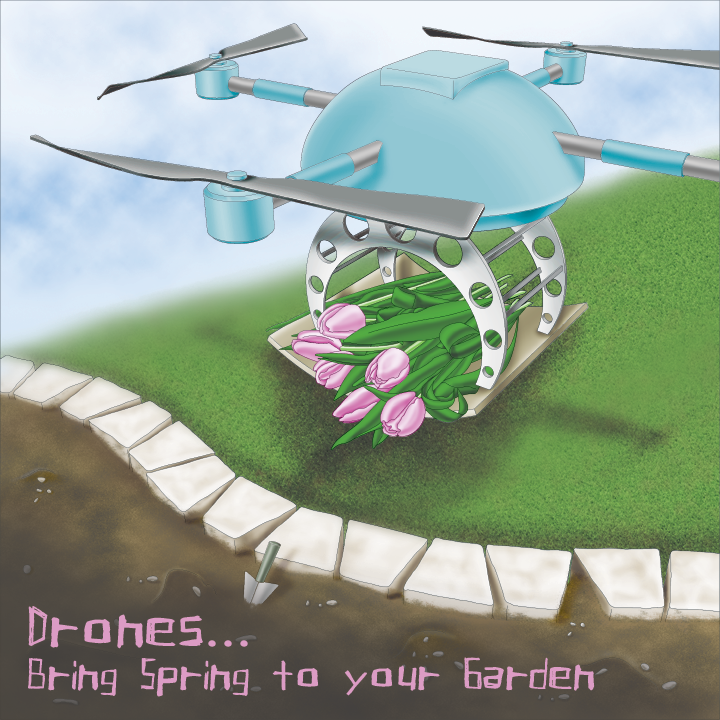 With these two thoughts, I’ve created a new illustration on how to use drones to bring on Spring! If only it were that simple! To have our own personal drones to help complete certain jobs would be wonderful. Sounds like an episode from the Jetsons, but is it a possibility in the future? Here’s to a speedy melting of the snow on our lawns and a warm Spring to help your garden grown!